We are committed to working with cities & institutions — not separate from them, and certainly not against them. Our Hub Model is designed to provide convenience and order. Our users aren’t just riders who choose to ride with us, they are also home owners who have to interact with the ebikes and scooters visually and city officials who are in a constant effort to keep the city organized and safe. So our technology is designed and continuously iterated to make the experience delightful for stakeholders involved on all levels. By working with cities we can create appropriate service areas, exclusion zones and pedestrian priority zones for a clear and convenient user experience while keeping the vehicles from ending in inconvenient locations. 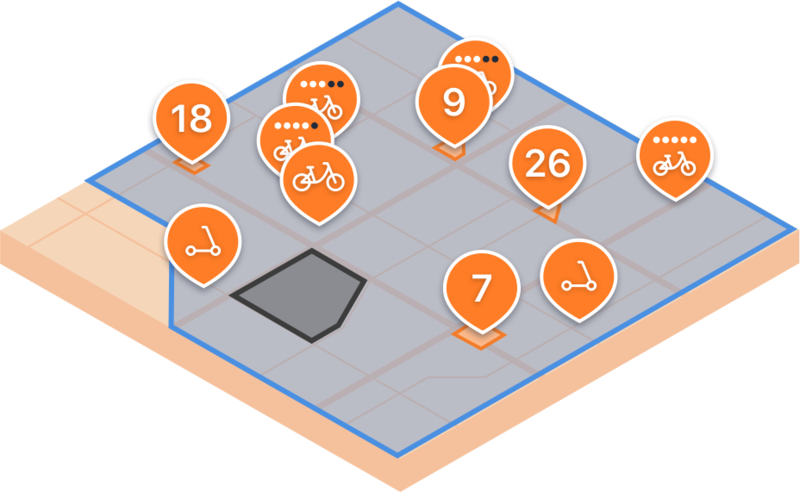 Riders can park at Drop’s designated parking and pick-up zones which increase reliability, organization and vehicle availability in high traffic areas. Our GPS and internet enabled electric bikes and scooters can be unlocked through smartphones by scanning a QR code. Drop’s hybrid model is designed for sustainable and balanced implementation of micromobility. Convenience, reliability and organization are ensured through a combination of smart hardware, software and efficient operations.